While it may seem straightforward to many Canadians, buying car insurance can be a complicated process for new residents. You need to be aware of the Provincial laws, find a reliable insurance provider, search for the best deal, and avail special discounts to ensure that your policy has adequate coverage and fits in your budget. We bring you the top 4 things you need to know if you’re new to Canada. 1. How to Search for Cheap Auto Insurance Quotes? Buying a car insurance in Canada is similar to most other countries. You can buy your policy through an insurance broker, directly from the company or through an agent. The best way to compare quotes and find a cheap plan is to use an online platform that compares various companies, their plans and their rates. You can also contact some local insurance companies and see if they can get you better deals. 2. How Do Insurers Consider a Lack of Driving Experience in Canada? This can directly impact your insurance rate and thus, is an important consideration when looking for quotes. There are two kinds of groups regarding your out-of-country driving experience. While some companies will not consider your past driving experience and treat you like a new driver; a few others might consider your previous driving in another country and give you a better rate. It’s always recommended to speak to the company or a broker and understand how much you’ll have to pay. 3. How Can You Reduce Your Rates Even Further? Location – The differences in insurance rates by location can be vast. For instance, buying insurance in Alberta is cheaper than buying it in Ontario. Car Make – Before buying a car, get an insurance quote to avoid unpleasant surprises. Some cars are considered high-risk for theft and accidents and thus, are expensive to insure. Proximity to Work – The closer you stay to your workplace, the less risky you are to your insurance provider; leading to lower premiums. Parking – If you’re buying a new home, try getting one with a dedicated parking with security measures to lower your premiums. Winter Tires – In certain Provinces like Quebec, winter tires are a must but in others like Alberta or Ontario, they are optional. However, getting winter tires can reduce your insurance rates and also ensure safer and smoother driving in the Canada weather. 4. What Else Do You Need to Know? Accident Records – Ticket convictions fall off in Canada after a period of 3 years. Accidents tend to put lesser impacts on your records, year after year, for up to 20 years. Rental Car Insurance – This is a good add-on with your protection on your existing car. It costs around $20-30 per year while getting a rental insurance in a rental location can cost nearly $15-20 per day! Plus, buying a rental car insurance in a rental location has lower insurance limits than your personal policy. Some credit cards in Canada offer rental car coverage but remember that it does not cover 3rd party liability. For new residents of Canada, buying car insurance can be overwhelming. By having all the right information by your side, you’ll be able to get reasonable quotes and buy ample of coverage as per your needs. 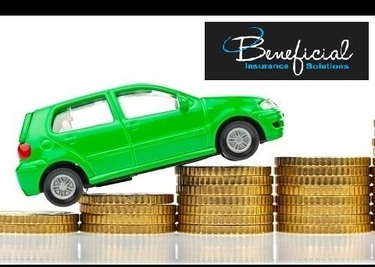 For more information about Free Car Insurance Quotes and Cheap Car insurance Please visit : Beneficial Insurance Solutions.